PennsylvAsia: Subaru Cherry Blossom Festival of Greater Philadelphia, April 1 - 26. Subaru Cherry Blossom Festival of Greater Philadelphia, April 1 - 26. 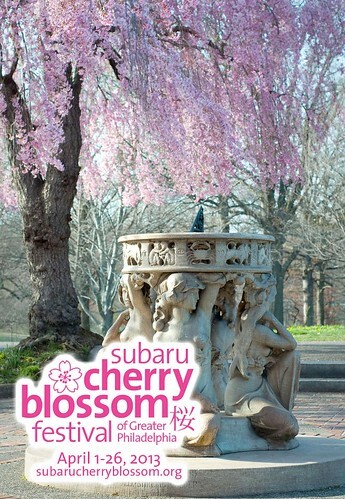 The Subaru Cherry Blossom Festival of Greater Philadelphia will take place this year from April 1st through 26th. There is a massive amount of events planned around the festival, so browse the website and consider making the drive (or the Megabus) for the weekend. Consider visiting, too, Shufuso, a Japanese garden in Fairmont Park, a short distance from where many of the cherry blossoms are located.